No warranty whatsoever will be valid if the defect was caused by customers abuse, negligence, or mishandling. All merchandise sold by EPI is only subject to manufacturer’s warranty and conditions, if any, and is subject to submission to the manufacturer for inspection and approval for repair or replacement of merchandise. Customer, however, will be responsible for all shipping and handling fees. No labor or inconvenience may be included in any warranty claims. There is no warranty on lights, light bulbs, decals, electrical parts, and engine parts. All products sold by EPI, unless otherwise stated in the item description, are sold ‘AS-IS’. All engine modification components, except those that are exempt by local laws, are intended for OFF-ROAD use only. These components are legal in California for racing vehicles only, which may never be used on public roads and highways. Federal and many state laws prohibit the removal, modification, or rendering inoperable of any device or element of design affecting vehicle emission or safety in a vehicle used on public highways. Violation of such laws may subject the owner or user to a fine or penalty. Installation of this part may void the warranty coverage, if any, on your vehicle. Vehicles modified by the use of performance parts may no longer be lawfully used on public highways. User assumes all cost and risks associated with these and other import items. Check your state and local laws regarding the use on any parts. In the event legal proceedings are required to resolve disputes or indifference’s, all claims and filings must be made with the Citrus Municipal Court located in West Covina, California. Customers will acknowledge and agree to this stipulation once the transaction has been made with EPI. As a security precaution, all IP Addresses will be recorded for each completed web transaction. It is the responsibility of the customer/installer to verify the correctness of size and application of all parts before installation. All automotive aftermarket body parts are unfinished and require professional installation by an experienced body shop. Body shops having experience in highline OEM vehicle repairs MAY NOT BE QUALIFIED. 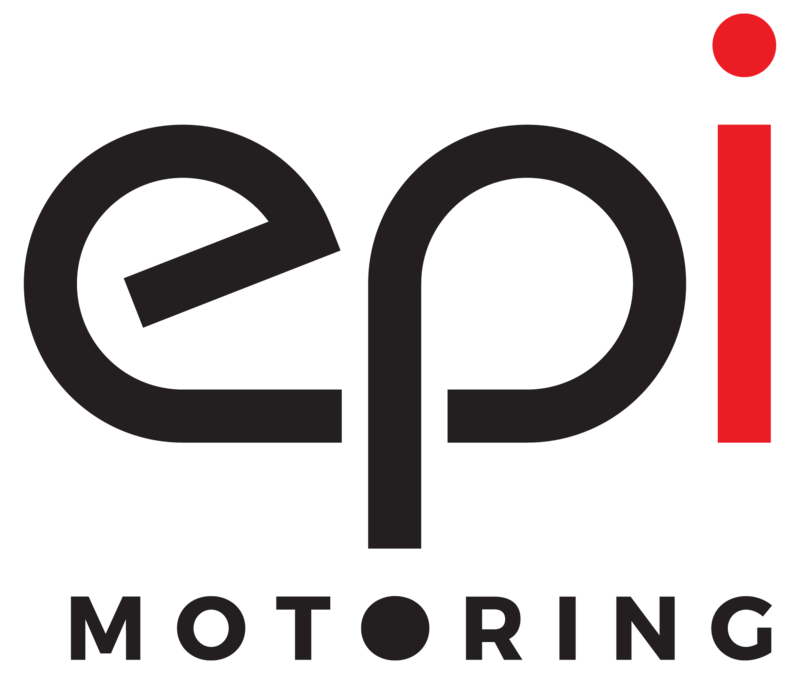 Please contact info@epimotoring.com for a list of qualified body shops near you. All items are hand-crafted, and no two items are identical which may have minor imperfections such as wavy weaves, tiny bubbles are inevitable. Buyer understands that some products may require modifications for correct fitment. Minor adjustments may be necessary as part of the normal installation process. An effort has been made to produce all aftermarket products to fit the original factory vehicles as closely as possible however, some occasional prepping may be necessary for an ideal fit. Before any final paint work begins, customer/body shop must pre-fit items to the vehicle. Clear coat bubble larger than 3/8” in diameter. Extreme cloudiness under the clear coat (only visible under the sun). Extreme clear coat color change within 6 months. Please note, slight fading and discoloration is natural due to certain weather conditions which occurs to OEM paint. EPI does not guarantee fitment on vehicles involved in an accident/body damages. EPI strongly recommends using heat shields. Any damages resulting from the absence of heat protection will not be covered under warranty. The use of aftermarket gas hood shocks/dampers is not recommended and will not be covered under warranty. If the hood does not clear the engine. If a gap is shown between the hood and fenders more than ½” on both sides. If hood levels are more ¼” higher or lower than the fender. No warranty/returns on damages due to negligence or painted products. No warranty/returns on fitment issues due to non-OEM aftermarket parts. Some aftermarket performance items used may cause improper fitment. For any fitment issues, please email info@epimotoring.com.